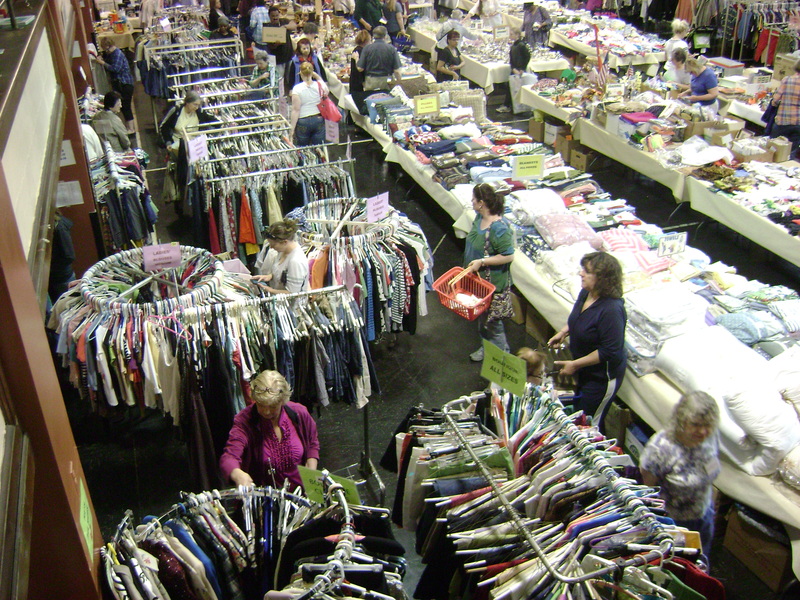 Bargains on clothing, shoes, furniture, lamps, linens, jewelry, antiques, books & media, kitchen & dining items, electronics, small appliances. luggage, holiday decor, hardware, tools, vacuum cleaners, garden, toys & games, art & frames, Office & craft supplies, photo equipment…and more. Baked goods, beverages, hot dogs, & chili available. Friday: 50% off clothing, shoes & books. Saturday: 50% all items, except select boutique. Plus bag of books for $1.50!